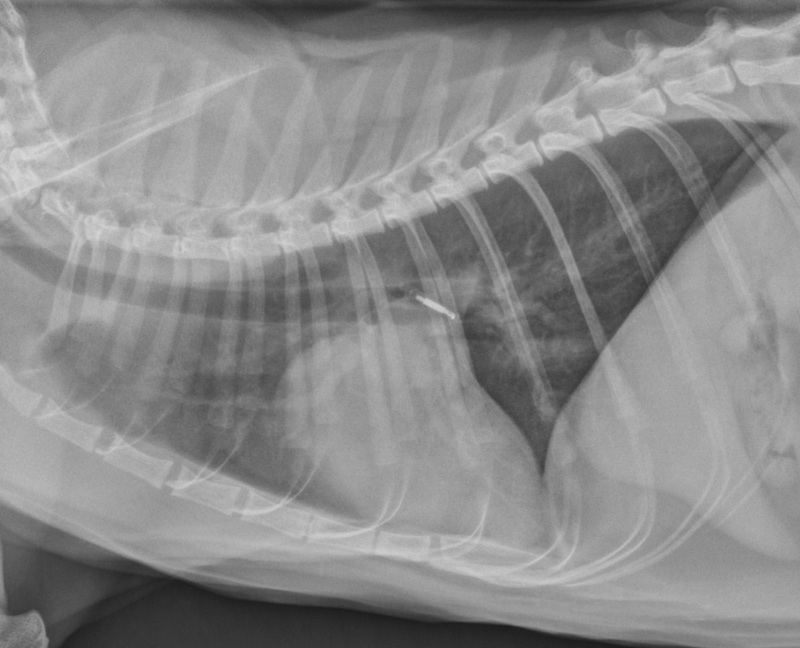 Today’s case is a 2-year-old male neutered domestic short haired cat that presented for an acute onset of respiratory distress. What is your diagnosis? The cardiac silhouette is enlarged and has a “boot” shape on the lateral projection and a valentine shape on the d/v projection. The pulmonary vasculature is distended, and some of the vessels are visible as nodular opacities on the d/v projection as they are projected end-on. There is an interstitial to alveolar pattern in patchy regions throughout the lungs. 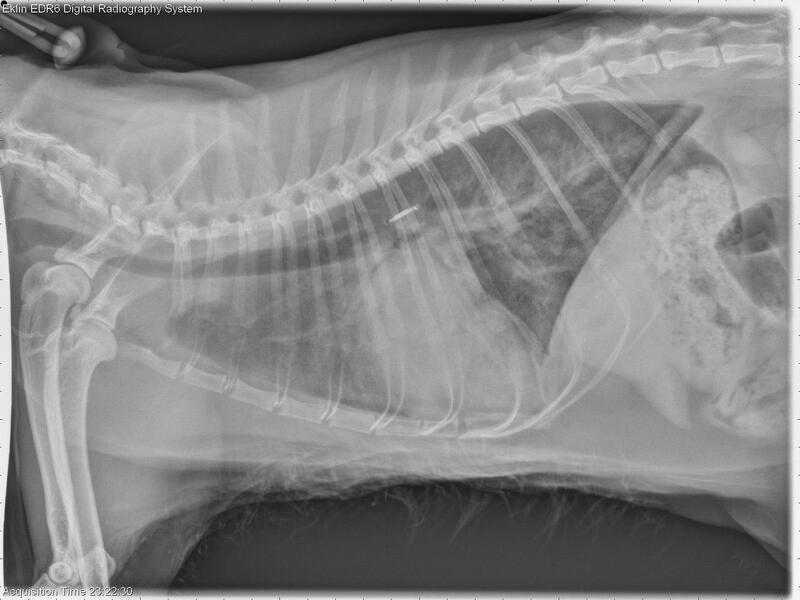 There is mild retraction of the lungs and a small fissure line indicating a mild pleural effusion. The lungs are hyperinflated. 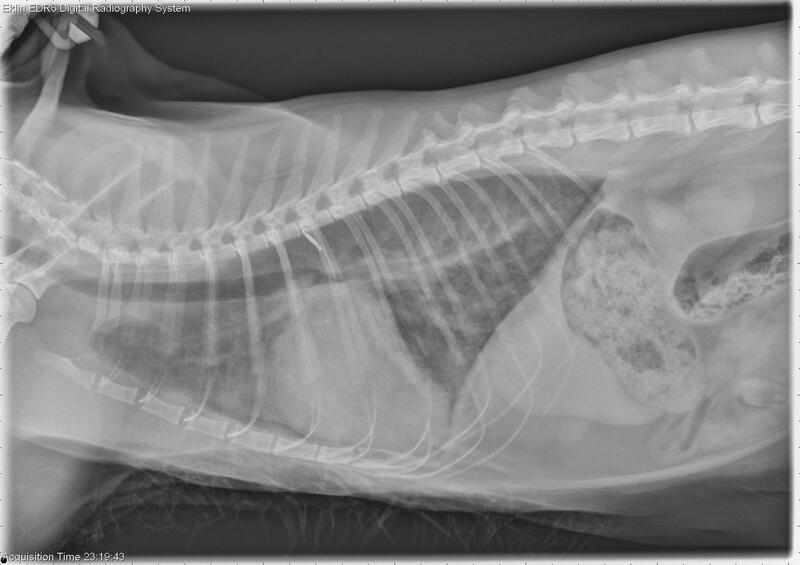 The cat developed muscular tremors that prevented an echocardiogram from being performed. The presumptive diagnosis was hypertrophic cardiomyopathy. This radiograph was performed the next day following diuretic therapy and showed resolution of the pulmonary edema and pleural effusion. 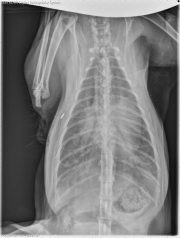 The following week the cat had a collapsing event with hind limb weakness. 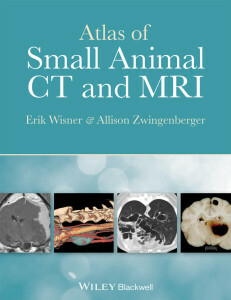 His hind limb pulses were weak and nail beds were blue, suspicious of an aortic thrombus. Thrombosis is a common complication of hypertrophic cardiomyopathy. Euthanasia was performed at that time. awesome case. In case you don’t already know this, these cases help a lot of people, a lot, so thanks for all the cases! !